Warm yourselves by this beautifully formed piece of art. 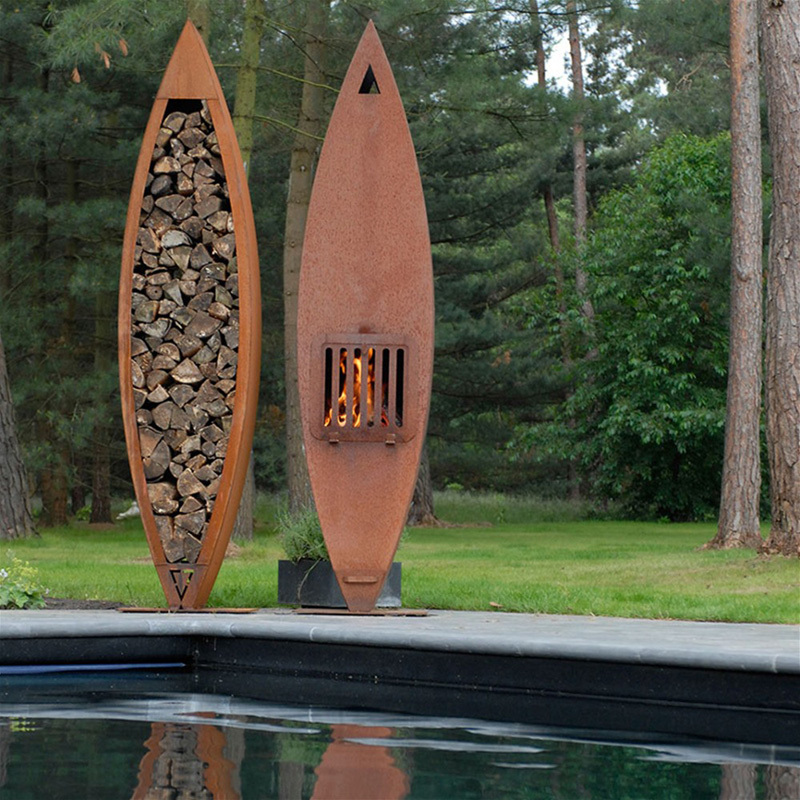 Perfectly blending form and functionality, the Zeno Tubo Outdoor Fireplace will bring a whole new aspect to your garden or outside space and be something that will be enjoyed over many years to come. The Canoa outdoor fireplace is equipped with a folding shutter/grill at table height. Smoke is pumped out of the top (240cm). 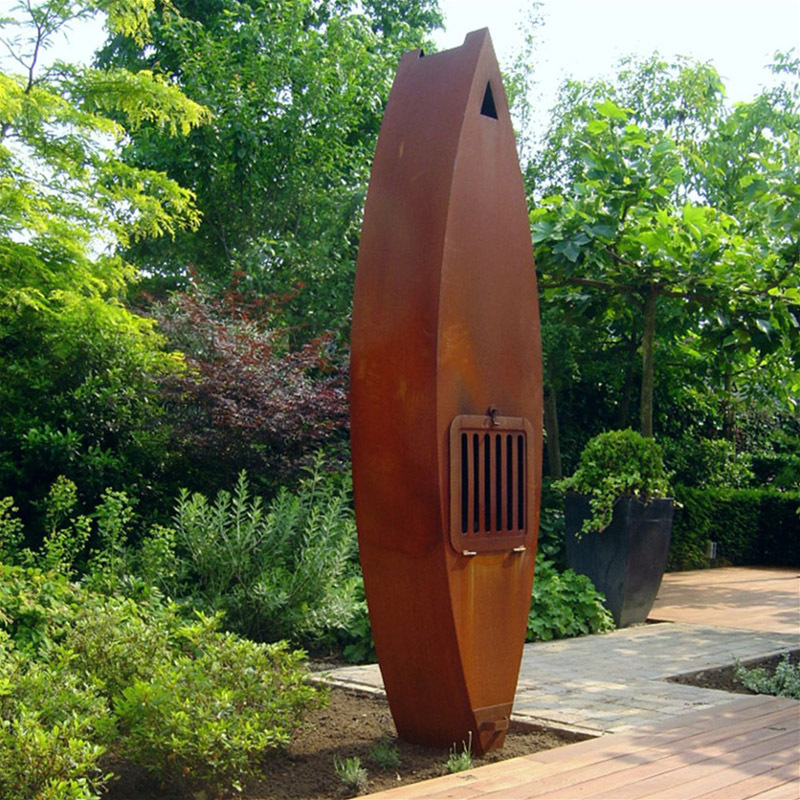 Comes in untreated Corten Steel, which when left untreated will rust naturally to it's intended beauty, within a matter of weeks. This fireplace makes a really great garden feature even when not in use. 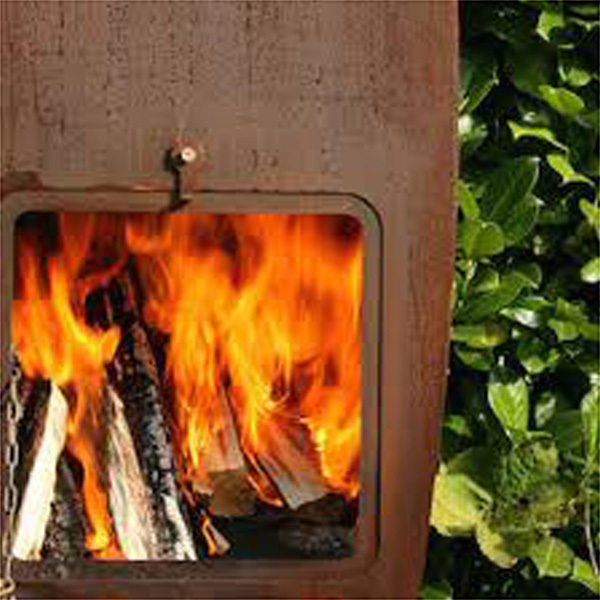 Also available with propane gas block or bioethanol burner, each sold separately. Includes Ashtray or ash bucket and have safety laminated back.